Harrisburg, Montserrado County – Residents of Harrisburg and its environs in the employ of a joint venture company have expressed concern over the consistent bad labor practice of their employer. The joint venture company which comprises of Pan African Engineering Group, Sigma Group Inc., and Mamba Point Hotel collectively known as PSM-JV, are contractors of the Mount Coffee Hydro Plant. The workers alleged that some of the bad labor practices include inhumane treatment by their foreign bosses and arbitrary cutting of their salaries without their consent. On April 8, 2015, the Liberia Electricity Corporation (LEC) signed a contract with joint venture for construction, housing keeping, catering amongst others. PSM-JV then hired locals, who are now alleging that they are working in “hell” due to “ill-treatment by high ranking officials of the company”. “When we are at work we drink water from the river because they don’t allow us to drink the same water they drink, we can drink the same water they use to wash their cars, I mean water from the river,” one of the employees explains. The employees disclosed that some of them signed a contract for US$175 per month, but said amount is only reflected on document, but they are paid either US$125 or US$130. One of the employees who raised concern about the deduction on his salary is John T. Bridges. Bridges, who was not afraid of reprisal from the company, told FPA the company has not justified the cut in their salaries, arguing that no document has been shown that the deduction is paid to government as taxes. “If they say it is Social Security fees or tax, then why is it that we have not signed a single form from NASSCORP to get our social security number. For me,” he explained. Some of the employees also complained of working overtime without receiving extra wages. According to Section 136b of the Liberian labor law, overtime work is permitted if the employee and the employer have so agreed in writing. “No, we cannot be inform about any overtime, we can sometimes be working until working time passed, no one can tell us that we working overtime or we did not enter in any such agreement,” another employees explained. Sanjeev Singh, a supervisor of the company, told reporters that the government is aware of all of all of its policies and actions. “If you are looking for news for your paper don’t come here, if we treating the people bad is it you that they will tell or it is Labor Ministry? “Go and publish anything you want in fact nothing will come out of this because we got government backing and they are aware of all what is going on at Mount Coffee,” he told journalists. 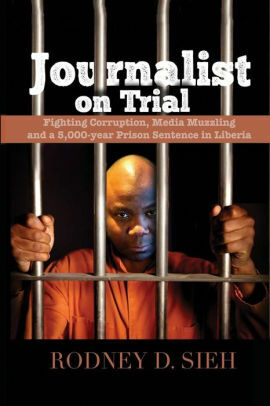 Journalists had gone at the Mamba Point Hotel for inquiry on the invitation of another employee and supervisor of the PSM-JV company identify as Chenidu Njoku commonly known as (CJ) to respond to the allegations gathered at Mount Coffee by reporters, but CJ on the phone said he could not talk about the issues so he recommended Sanjeev a Lebanese man believe to be one of the officials of the company to speak. But hell broke loose when Sanjeev realized that journalists had gone to make inquiry on the welfare of employees at Mount Coffee. He said “it is none of journalists business to interfere in the company’s operations or its employees”. ”Is that your business or you want to do the work of the labour Ministry, let them go to labor if they have problem and not you,” he slammed. The Commissioner of Harrisburg, Madam Viola Bridges told reporters she had confronted the management of PSM-JV on the welfare of employees but has received no fruitful response. “I have received many of those complaints but the company has not been able to address the problems the workers are faced with, even when we engage them on those issues they play deaf ears to that and that is wrong,” she said. Deputy Labor Minister Phil Tarpeh Dickson has promised to investigate the matter, while condemning assertions by Mr. Sanjeev. He disclosed that a team of inspectors will be dispatched to investigate the situation and if any law is violated, the appropriate measure will be taken.